You might have noticed that my blog name is Welsh Mum of One. 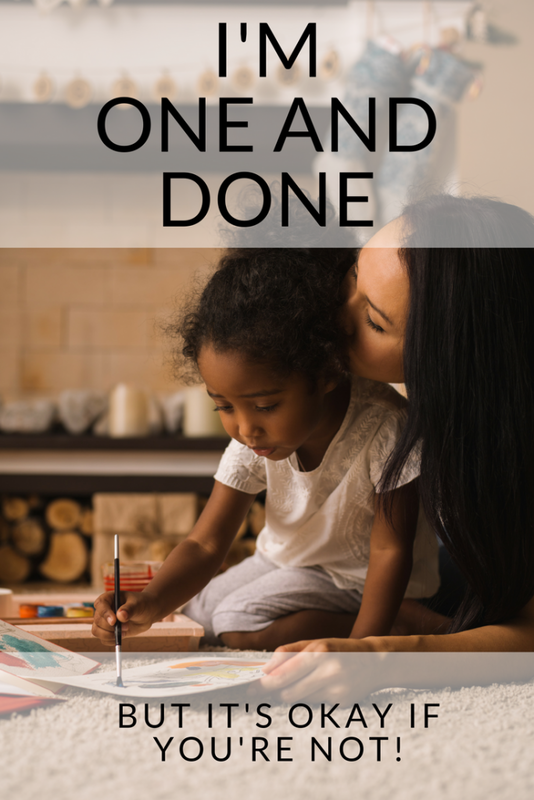 When I started writing this blog William was 5 months old and I’d already made the decision to be one and done. I’m an only child with half brothers that I’ve never met. I knew they existed, but without going into all the drama of my childhood situation I’ll just say I never got to meet them. I used to dream about those siblings and what they were like – two older brothers sounded like a dream come true to a little girl. Naturally, when I was young if I imagined myself as an adult it was with a small host of children around me. But life doesn’t work out that way. I struggled with infertility problems for 8 years before conceiving my son. 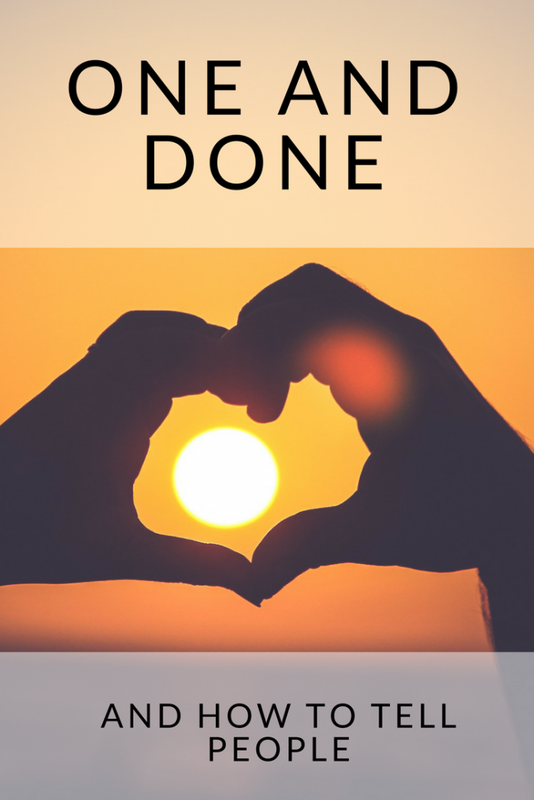 My husband and I had accepted that this wasn’t to be for us and then, we got pregnant! Pregnancy wasn’t easy for me mentally or physically and the birth was very traumatic. It was nothing like the fairy tale experience of motherhood I’d dreamed about as a child. After the birth I struggled mentally with post natal anxiety and trauma. I’ll be brutally honest – the early days weren’t full of joy. 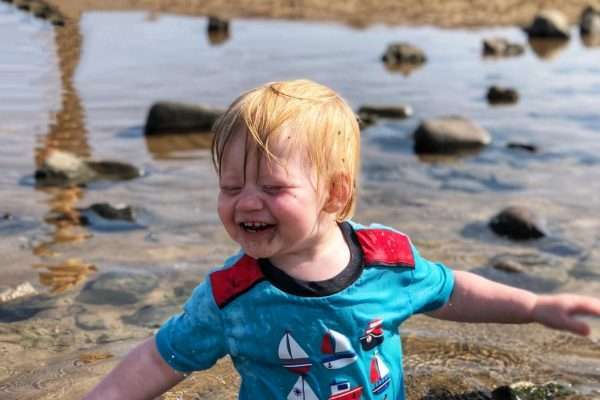 I was recovering from sepsis and an emergency c-section, reeling from almost dying and almost losing my son, and seeing danger around every corner. I barely left the house for months. Now I’ve managed to keep him alive for a full year and I’ve already dealt with questions from family, friends and complete strangers about when we’re adding the next bundle of joy to our family. Having a sibling would be such a gift. It’ll give him someone to play with. He’s so cute! How can you not want another one? It’s easier if you have two close together! You don’t want to wait too long at your age. You’ll have no problems adjusting to two, it’s only a little extra work. It’s not as expensive as it seems. You can re-use all your items from the first one. Don’t wait too long or you’ll regret it. It would be amazing to have one boy and one girl. You’ll have to change your blog name when you have another! Whilst all the above might be true to some degree, the fact that they are true does not mean that another child is the right decision for our family. William will not have a little brother or sister. We feel blessed by our miracle baby but our lives were put in danger and we don’t want to take that risk again. When someone asks me about having another child I feel like crying sometimes. I do like the idea of another child and emotionally my heart breaks knowing this is the only experience I’ll have, but at the same time I am confident we’re making the right decision not to have another. For mental, physical, financial and practical reasons our life is better with only one child. Sometimes I think to myself is it better for him? Am I being selfish? Am I putting myself first? Am I hurting him raising him as an only child? Am I taking away something from my husband? Is he really on board or just saying that? I have to remind myself that William needs a happy, healthy mum way more than he needs a brother or sister. I have to remind myself how important self-care is and how it’s okay for me to think of myself too. I have to remind myself that my husband is perfectly capable of making his own decisions and voicing his thoughts. We have a very honest marriage. If he wanted more kids, he would tell me. I’m not tying him down and forcing him to get a vasectomy. I have to trust my instincts and trust his too. I have to battle my mum guilt, throw it away and set it on fire whilst dancing. And I have to deal with all the above questions and comments. I had to deal with this a lot during my fertility journey. People don’t realise they’re asking a deeply personal, emotional and invasive question. Something I learned from the 6 billion questions about “so when are you guys starting a family?” or “no little one on the way yet?” is that people don’t mean to hurt you and they will stop if they know they have. At first I hedged around the question and all it resulted in was more questions or the same questions being repeated a year later. When I bluntly said “We’re struggling with fertility and may not be able to have a family” then people stopped and realized they’d touched a nerve. I received empathy instead of more questions. Mums with two kids or three kids or four kids or five kids also suffer guilt about the decisions they make. Becoming a mother has made me realize the ridiculous amount of emotional pressure and self-doubt parenting brings with it. How can we ever know for sure what the right decision is? All we can do is trust ourselves and do our best. So whatever you decide, whether you have 0 or 10 kids, you will make the right decision for you and your family. 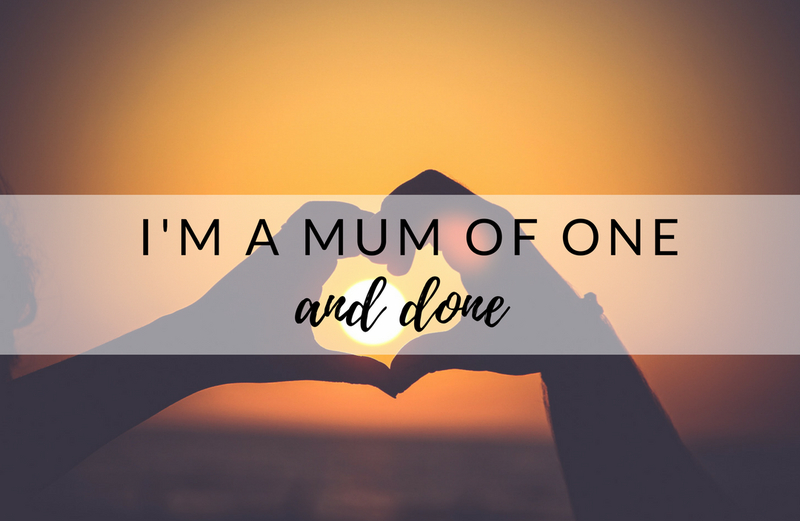 In sharing my thoughts about mum guilt, parenting mental health and pressure and the ongoing debate about only children or large families, I hope I’ve helped you see my point of view. There is no right answer to this one and there’s no one size fits all. Every family is different so it’s all about finding the right solution for you and then not letting doubt or guilt hold you back. I’ll be writing a little more about this topic in the future and about the experience we’ve had as a couple seeking a vasectomy on the NHS after one child. I agree! Well done on adopting. It’s something we’ve thought about a lot. I’m sure it comes with a lot of awkward questions knowing the ones people ask me about fertility and family size. Thank you for sharing your thoughts. This is extremely helpful and better than any medicine. I am a first time mum and experienced a very traumatic birth – this is a relevant topic for us.